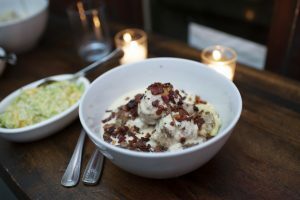 Gluten-Free Living > Tips > Where can I get good gluten-free grub in New York City? Where can I get good gluten-free grub in New York City? Spring travel season is here, and New York City is calling! Whether you travel with friends and take in a show or bring the whole family and visit the parks, museums and iconic landmarks, there is delicious gluten-free food to be enjoyed along the way. Here are a few favorites from a recent trip.